Why credit unions should offer non-variable rate cards. When it comes to their credit card programs, credit unions should follow a best practice of including a non-variable rate product. This is because credit unions receive approximately 70 percent of card program revenues from charge finance income, and members are more likely to carry a balance if they know their rates are not going to fluctuate with markets. 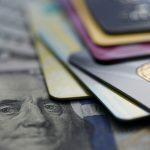 Prior to the Credit Card Accountability Responsibility and Disclosure (CARD) Act of 2009, 90 percent of credit unions maintained card products with non-variable rates. The CARD Act sent shock waves through the industry, introducing changes and uncertainty into the market that prompted the vast majority of credit unions to switch to variable rates. Unfortunately, when credit unions shifted from non-variable to variable rates at that time, they lost the one key advantage they had over bank-issued credit card programs, the ability to offer lower non-variable rates. Only 20 percent of credit unions today offer a non-variable rate card. Those that do understand a very important market dynamic well: Bank-issued card programs generate 70 percent of their card program revenue from interchange and fees; so they are more focused on building usage than loan growth. In fact, banks, by and large, are leaving the non-variable market on the table for credit unions to pursue. Which means credit unions have an opportunity to own this market niche and exploit it to its fullest – building their loan portfolio balances. For credit unions that are apprehensive about moving from variable to non-variable rates, they can start as follows: The rewards program they offer should remain variable as those cardholders are less rate sensitive. The non-rewards program should offer a non-variable rate to attract balances. This strategy allows your credit union to give members options. At my credit card schools, I frequently poll attendees on how often they score cardholders for risk. Surprisingly, about 75 percent do not consistently score their cardholders at reissue. This is important to note because it suggests that, as an industry, we are placing too much emphasis on managing the risk of the portfolio according to the economy, without giving enough consideration to even the most basic information in the member profile – the credit score. Prior to the CARD Act, credit unions routinely scored cardholders with every reissue, a practice known as risk-based pricing. If the member’s score changed, credit unions would adjust the rate for new purchases and balances accordingly, while grandfathering in older purchases and balances at the previous rate. This was a common practice 10 years ago. However, very few credit unions are actually using risk-based pricing today. Scoring cardholders with reissue not only helps credit unions assess their risks, but it also presents the perfect opportunity to change the rate should the business case call for it. Plus, cardholders expect to be scored and, in many cases, want to be scored. For example, if a member has worked hard to maintain a great credit score, that member expects to be rewarded for it with a lower rate. And if cardholders have damaged their credit in some way, they understand and accept that their interest rate may rise. Ultimately, while the right non-variable rate card can help credit unions build revenues, profits and cardholder loyalty, it is important to remember that the interest rate is just one factor in the success of any card program. Profitability is also impacted by charge-offs, appetite for risk, processor costs, fee income and marketing expenses. To maximize your card program’s potential, you need to manage each of these metrics all the way around. Ondine Irving is a recognized credit card industry expert and owner of GoCUCards, which educates credit unions on how to properly manage the income and expense of their credit card programs. Ondine can be reached via the company’s website at www.GoCUCards.org.